21/04 Three groups of three and total confusion about coffee payment while newbie Steve Penny records his first official win. Welcome Steve and well done! 21/04 Appalling tipping in the Super Rugby with only Tim picking better than 2 to take him within a point of Gazza. Burnsie again flukes most wins (4 out of 6) by not submitting his tips! 19/04 In the words of TD Nick "Wow, what a result" in the Easter Open. Congratulations Gary but you must read Nick's full story here. 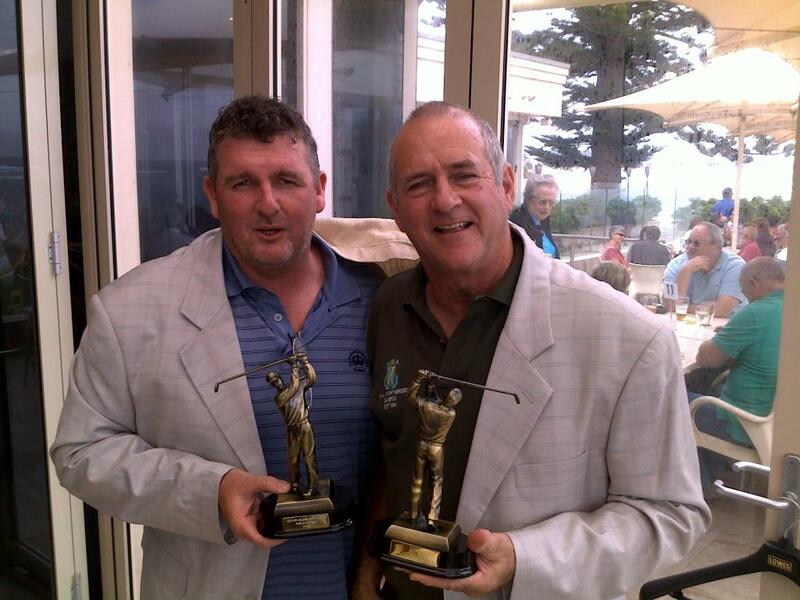 14/04 In a historic repeat of their victory in Nov 2010, A O'D and Timmy B take out the coveted Pairs Championship by a huge margin. And that event nine years ago was also Alan's last major victory! Thanks to senior acting TD Phil S and acting assistant TD Timmy B for splendid organisation. April 25, Thursday, The ANZAC Day Trophy, TD Wadds will email details.